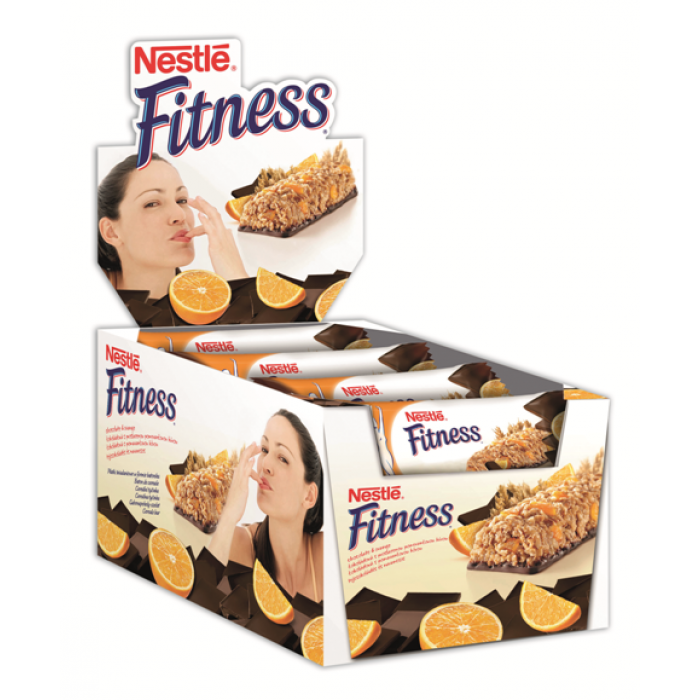 Nestle Fitness Cereal Bars have all the enjoyment of a delicious dessert without guilt, because each bar contains less than 93 calories. 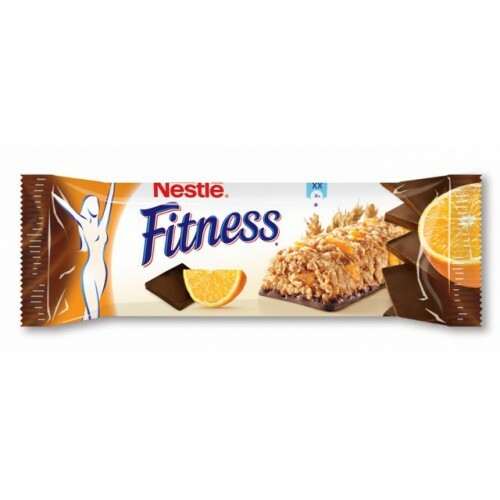 Breakfast cereals in the form of a candy bar-flavored chocolate-orange, with vitamins and minerals. 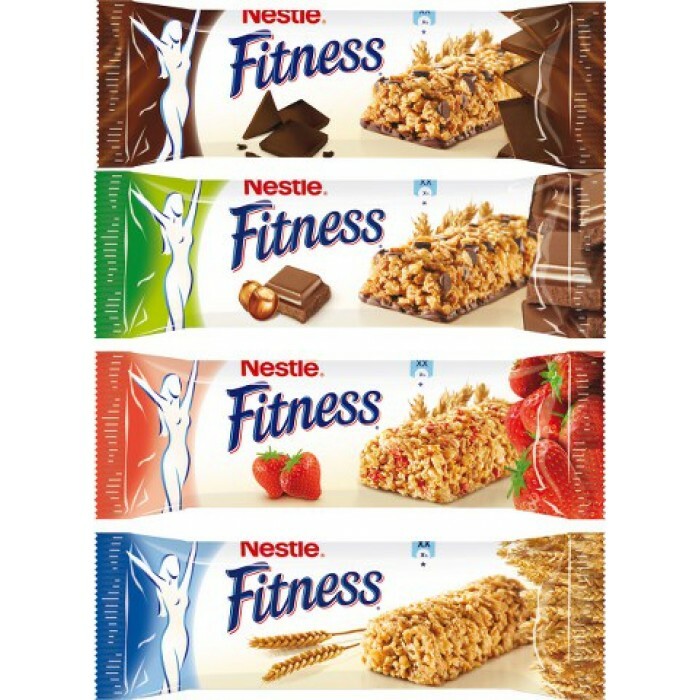 Nestle Fitness Cereal bars are available in four natural flavors, strawberry, chocolate and chocolate and hazelnuts. grains (44.1%) [wheat whole wheat (26.8%), rice (17.3%)], glucose syrup, sugar, chocolate (10%) [sugar, cocoa mass, skimmed milk powder, fat cocoa, whey powder, emulsifiers (soy lecithin, polyglycerol polyricinoleate), flavor (vanillin)], dried orange peel and sweetened (8%) [orange peel, sugar, glucose-fructose syrup, acidity regulator (citric acid)], syrup invert sugar, barley malt extract, a substance Humectant (glycerol), palm oil, brown sugar syrup, partially invert, salt, emulsifier (sunflower lecithin), flavor, acidity regulator (trisodium phosphate), antioxidant (mixed tocopherols), enriching substances (vitamins and minerals - see table).